The annual convention of the North American Association for the Economy of Communion in Freedom, was held at Hyde Park from August 10 to 12. "Celebrating the past 20 years and imagining paths for the future"…The title already presaged the strong perspective for the future which organizers intended giving this convention. “Our EoC meeting was fantastic”, affirmed Elizabeth Garlow, neo president of the North American Association of the Economy of Communion in Freedom who succeded Joan Duggan holder of this title, before her. “There were 60 participants from both Canada and the United States, which resulted in a great mix of entrepreneurs, students, scholars and members of the association of ‘sympathizers’ of the EoC." Rediscovering the origins. This was the topic brought into focus during the first day of the meeting on August 10, looking at the history of the last 20 years, from the launching of the EoC by Chiara in 1991 to the events of the first Pioneers, entrepreneurs and association members who brought the EoC over all North America. It was also important to recognize the contribution made by many ‘supporters’ who, while not business people themselves, used their economic resources, time and encouragement favoring the diffusion of Economy of Communion in North America. Generation Y. Another fundamental phenomenon of the first day: the opinions of young people present (‘the Y generation’), a quite substantial group. The unique characteristics of their generation, makes them feel they have an important contribution to give to the Economy of Communion. They can bring to it the global vision which characterizes them, added to their technological skills: both opportunities and challenges in order to adhere to the EoC. Discovering one’s vocation in the EoC. This was the topic of reflection during the meeting held on August 11, with the help of Michael Naughton, professor at St. Thomas University Minnesota. Michael presented the most recent reflections of the Pontifical Council for Justice and Peace on “The business Leader’s Vocation”, bringing those present to reflect on “how to receive the vocation”. God is interested in our work and the choices we make must of consequence keep in mind the project which He has upon us and on our businesses. These reflections touched everyone present very deeply: a businessman, some students and scholars gave witness as to how this document helped them think of their work as something which has a ‘uniting’ effect; as a call and a vocation. As well, during the second day, in both groups, specific tools and technologies were offered to imbue the values of the EoC in the life of organizations and businesses. North America calls Australia. It was all of a few minutes, during the convention, that the groups were inspired to get in touch with some aspiring EoC entrepreneurs in Australia to offer them both opportunities, and concrete tools, in order to network and start off the EoC together: with this contact now established and using the website B2B and the opportunity of internships, communion can only see new growth. Momenti forti. 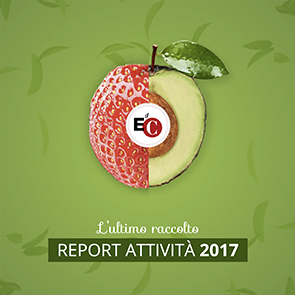 Grazie ad una conferenza skipe Luigino Bruni è potuto intervenire e salutare i presenti: il suo forte richiamo ad un “ri-annuncio” di Edc è risuonato profondamente in tutti i presenti. Molti dei partecipanti alla fine del convegno hanno sentito chiarita la propria vocazione a far parte, ciascuno nel suo ambito, ad Edc. Strong moments. Thanks to a tele-skype conference, Luigino Bruni was able to address those present: his rallying cry to ‘re-announce’ the EoC resounded deeply with all those present. At the end of the convention, many participants felt one’s own vocation clarified, called to be part of the EoC, each in his own area of work.